Within about one year, Midway Paris Beauty School will prepare you to become a highly trained industry professional for an in-demand career, specializing in Cosmetology and Hairdressing. Learn basic, contemporary and advanced principle techniques that incorporate your flair for style. 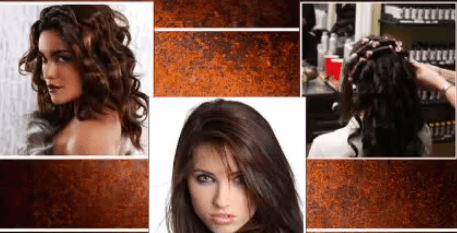 Learn the latest trends incorporating techniques in haircutting, hair coloring, and hair designing for men, women and children. Study the concepts of hair texture and how to create the ideal haircut or style for your clients. You’ll also learn about nail services such as manicures and pedicures, and esthetic skin care procedures. While practicing your technical skills on actual clients, you will develop the marketing and communication skills necessary to deliver the services requested by salon clients. Be inspired while learning the latest trends in our classrooms. Beauty professionals will teach the latest techniques. Our instructors will begin your training on mannequins. Theory is taught using easy to learn textbooks. These beautifully colored textbooks explain with easy to understand step-by-step procedures. Lectures are easy to follow. Guest speakers will not only speak but also demonstrate new techniques and styles in today’s industry. You will be inspired with informative guest demonstrations. Fun student competitions will spark your creativity while putting your newly acquired skills to practice. Reward prizes and certificates are awarded. Our students attend the yearly International Beauty Show in the Jacob Javitz Center in NYC.